The following are some photos I took on a very, very cold New Years Day. 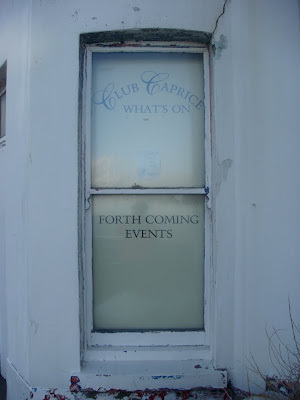 For reasons that elude me now we drove around the coast of Kent, at one stage through a thick but brief blizzard of snow, stopping at Margate, Herne Bay and Whitstable. 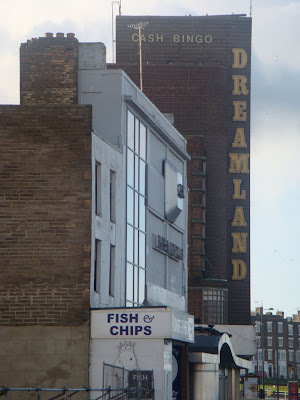 I particularly like Margate which has a vulgar charm all of its own, although I'm aware that aestheticising decay is the privilege of the over-privileged. 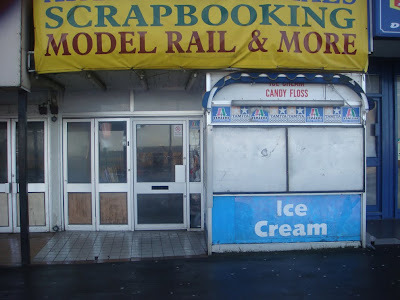 My family were less impressed by its down-at-heel attractions though and urged me on to the more picturesque charms of Whitstable, where I couldn't find a single thing I wanted to photograph. 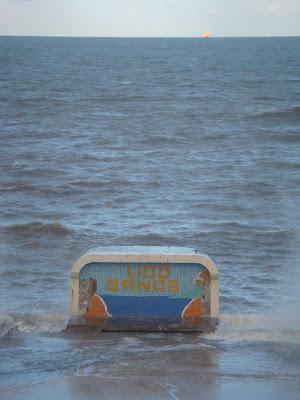 Winds buffeted the sandy beach, almost completely submerging the lido. No one went for a swim. Strangely, my wife, so insistent on her Christmas day dip, stayed in the car and kept her hat on. 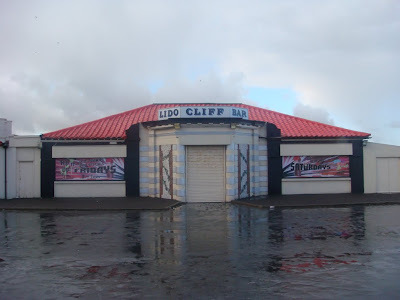 The Lido Cliff Bar is an odd hybrid bungalow with its red tiles, marbleised walls and complete visual impenetrability. 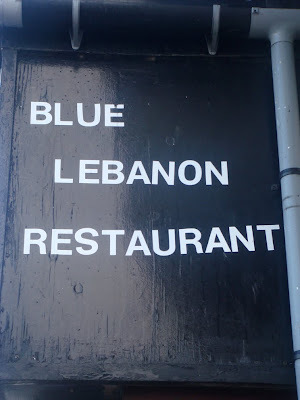 The sign is a bit small for my taste too. Still, it commanded the empty car park with a menacing aloofness. "The life was cheap on bread and wine. And sharing meant no shame." 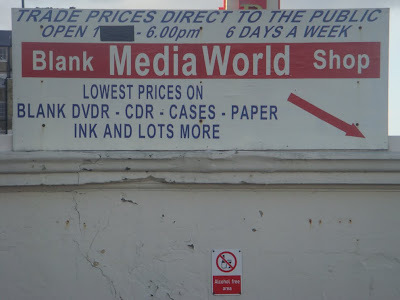 Nice bendy helvetica. I liked this mainly for the way that the top of the building doesn't fit the bottom, necessitating the excellently over-scaled black bracket to hold it up. 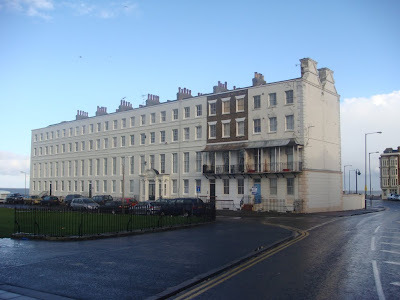 I'm not optimistic for the fate of the upmarket flats though. 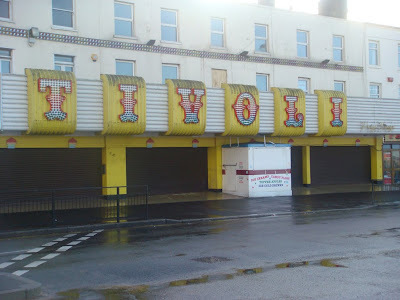 Many of the sea front shops and arcades were closed up, maybe for winter or maybe permanently, it was difficult to tell. A night-time architecture of applied signs and lights in the day, in deep winter. From the ruins of Snohetta's unbuilt giant pebble rises Sir David Chipperfield's vehicle of regeneration/gentrification the Turner Contemporary. 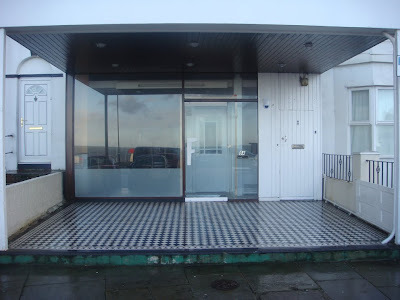 The design is "restrained, quiet and thoughful" in a way that, for instance, Margate generally isn't. As part of an off-site Turner Contemporary art project, Douglas Coupland has been commissioned to re-design the signage. 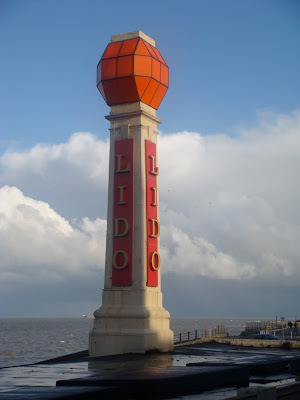 Half Classical, half Stalinist Realism Lido sign. This had a pleasing elegance about it, like a low-code Californian case study house. Or is that just me? 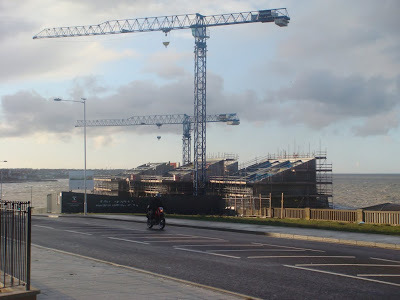 There's an appealing way in which the Cliffs Pavilion is being consumed, or camouflaged, by the landscape here, like a large inhabited hedge. 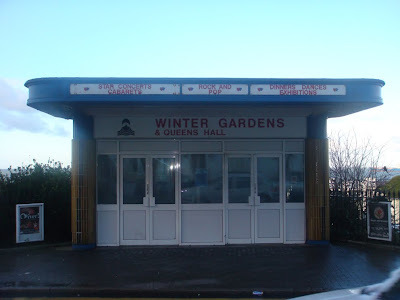 The entrance to the Winter Gardens was rather lovely and offered the delights of Rock and Pop. This beautiful stuccoed terrace contains one flat owned by a hard-line modernist tenant determined to express truth to materials. 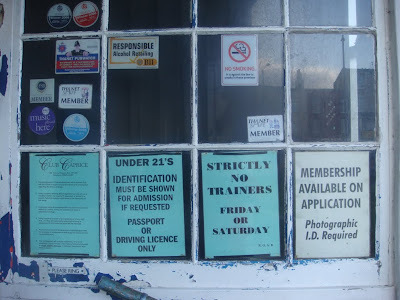 Their welcoming door policy may have had something to do with the club's demise. 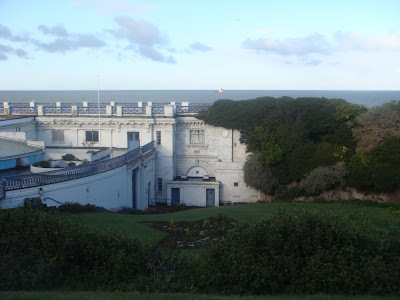 The historic - and closed - Dreamland and its Grade 2 listed timber roller-coaster has been saved by a £3.7M grant. Read more about it here. Some good news at last. 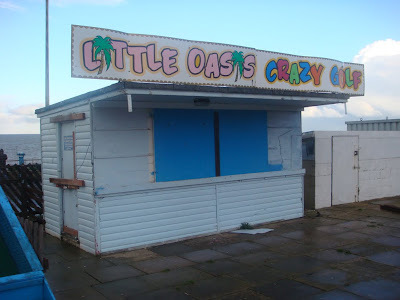 And then we drove to Herne Bay where the pier has broken in half. 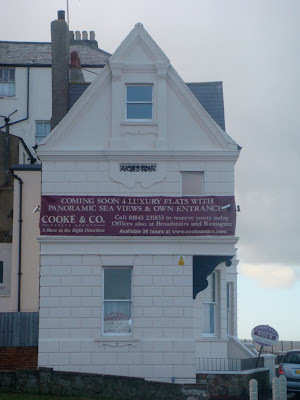 Labels: Kent, Seaside architecture, Signs.